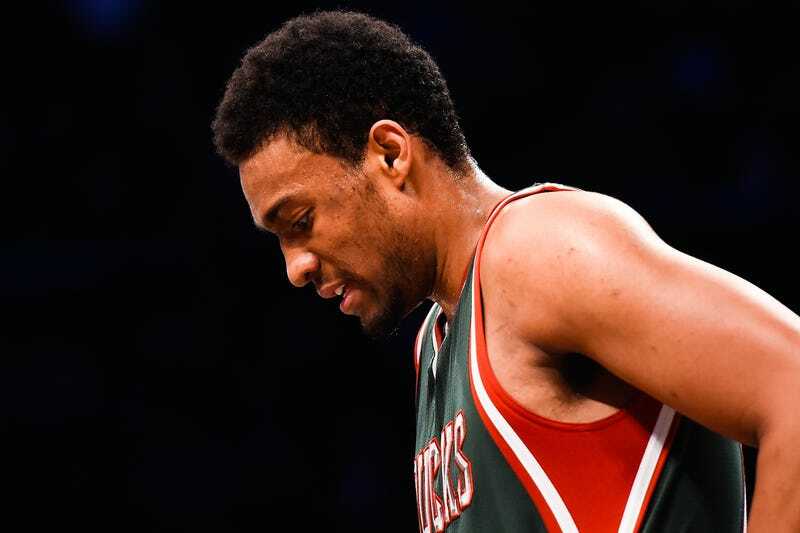 Jabari Parker will likely miss the rest of the season with a "suspected torn ACL," according to ESPN's Marc Stein. Parker left last night's win over the Suns with a "sprained knee" after he collided with PJ Tucker. He becomes the second lottery pick to suffer a season-ending injury, after Julius Randle broke his leg in his first game of the season. Parker was putting together a nice season, starting every game for the 13-12 Bucks and averaging 12.3 points and 5.5 rebounds a night in 29.5 minutes. He was part of a young core along with Giannis Antetokounmpo, Brandon Knight, and Khris Middleton—and Larry Sanders if you consider him "young"—that led the Bucks to sixth in the East. Assuming continued stellar play, Parker was likely the frontrunner to be voted Rookie of the Year.